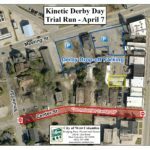 In just over a week, on Saturday April 21, Kinetic Derby Day will commence on State Street in West Columbia. As the date gets closer, the anticipation is mounting. 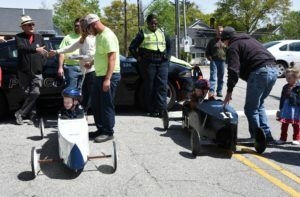 “West Columbia’s Kinetic Derby Day will be a big day of fun for all ages. 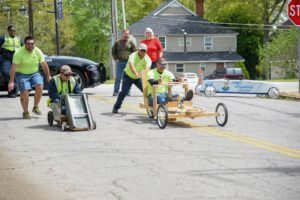 We are very excited to showcase all of the creativity of the participants in the races as well as the Arts Fairway and the impact their ingenuity will bring to our area,” said West Columbia’s Events Manager Kelli Ricard. The community is excited too. So far there are 57 total registrants for Kinetic Derby Day events. 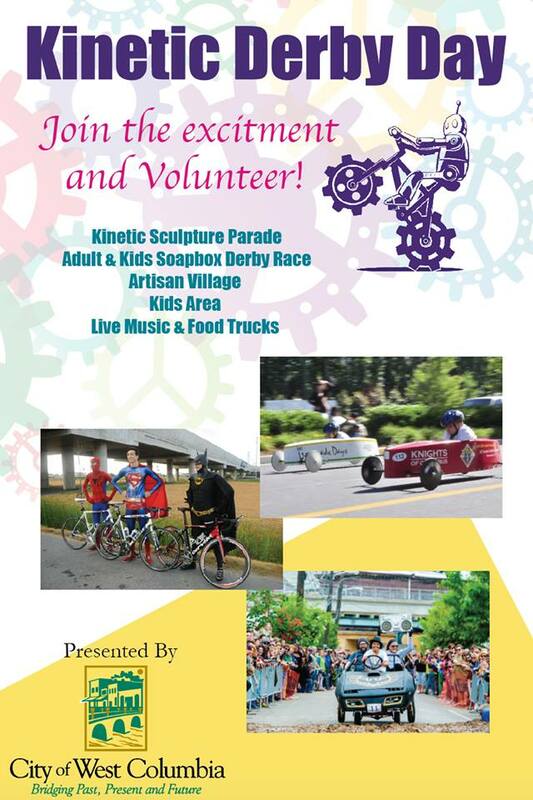 Of those, 19 will present Kinetic Floats for the parade and there are 38 registered for the soap box derby races. Entry fees range from $20-$35 for non-commercial entries; business registration is $100. 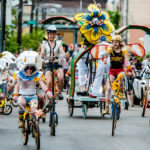 The Kinetic Sculpture Parade begins at 10 a.m. on Meeting Street. 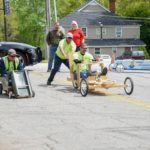 The adult soap box derby racing begins at 11 a.m. on Meeting Street. Adults have two race categories, Art Cars and Need For Speed. 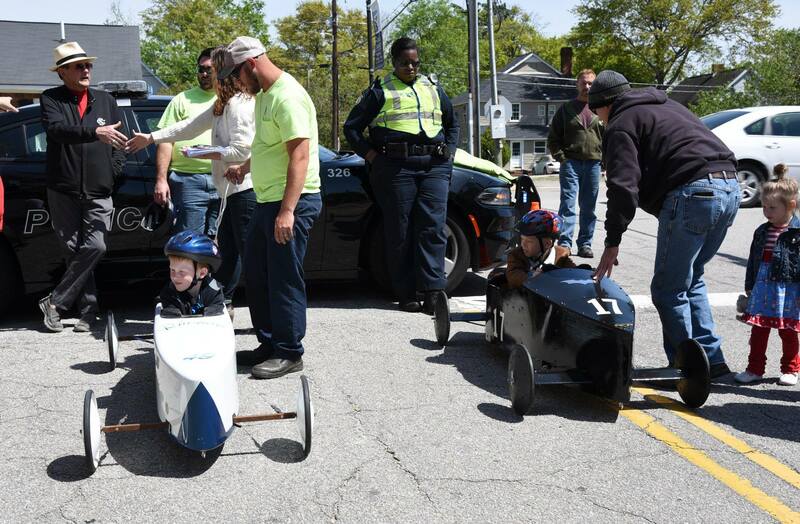 Children ages eight-and-up will race on State Street. 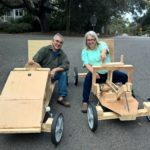 Authentic vintage race cars will be available for the younger children to race on State Street. 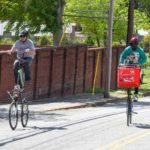 There is so much interest in Kinetic Derby Day, the city could use some extra hands. Go to https://www.kineticderbyday.com/volunteer-sign-up for more information and to sign up. It is a popular event. 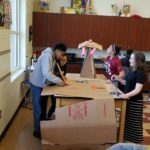 Students at Busbee Creative Arts Center middle school are are building a kinetic float for the Kinetic Derby Day parade. 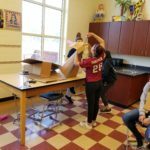 Pamela Hoppock, the WeReadSC coordinator, is overseeing the float constriction with the with the help of Busbee science teacher Tony King and engineer Jesse Burke. It’s a community literacy initiative,” said Hoppock. “And we will hand out books during the parade.” She also said the float will be 28-feet-long and eight-feet-feet tall. Even with the event so close, there is still time to plan. There is a free workshop at EdVenture Saturday (April 14) from 11 a.m. until 3:30 p.m. 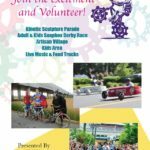 Kinetic Derby Day registered participants can get into the workshop for free and attend the free soap box car-building sessions that will be conducted throughout the day. In addition to Derby Day’s parade and derby races, there will be a Arts Fairway coordinated by the Jasper Project. The Arts Fairway will be located along the 100 – 300 Blocks of State Street, from 10 a. until 5 p.m.. The Jasper Project’s Arts Fairway will include interactive stations, public art, live music, and performers to include: Justin Vorhis, Muddy Ford Press, Abstract Alexandra, Cola Town Bike Collective, Pat Harris, Cayce West Columbia Library and WeReadSC, Thomas Washington, Indie Grits Labs, Columbia Art Center, All:In!, Yarnbombers of Columbia, and Michael Krajewski. Popup performances will include: Brookland Cayce High School Drum Line, live painting by David West, a choir performance by Airport High School, spoken word poetry by Monifa Lemons. There will be contemporary country music by Emma Kate Mclain, Appalachian fuzz music by Kristen Harris and Sean Thomson, live painting by Lucas Sams, alternative folk music by Cully Salehi and Todd Mathis, Jazz music by Mark Rapp, Columbia City Ballet performance, and a drum circle. 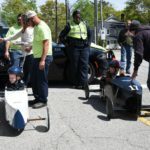 The Boys and Girls Club of the Midlands is creating the “Kids’ Area” with science stations and soapbox racing. 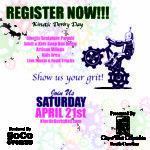 For more information and registration visit www.kineticderbyday.com. 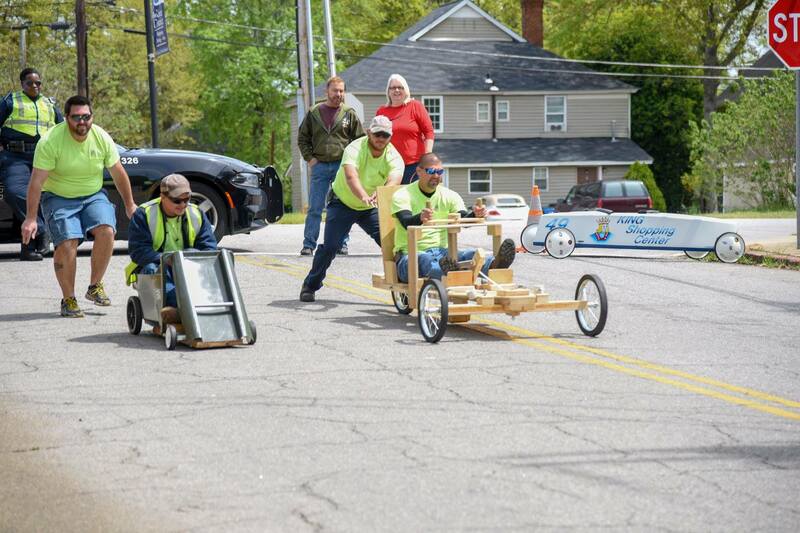 With so much to offer, West Columbia’s Kinetic Derby day is a can’t-miss event. Be sure to be on hand at State Street for the festivities on Saturday, April 21.